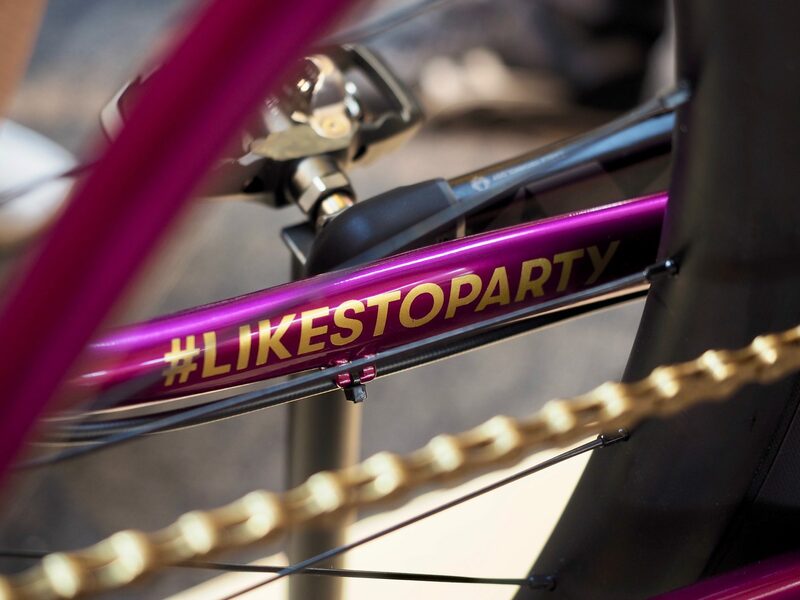 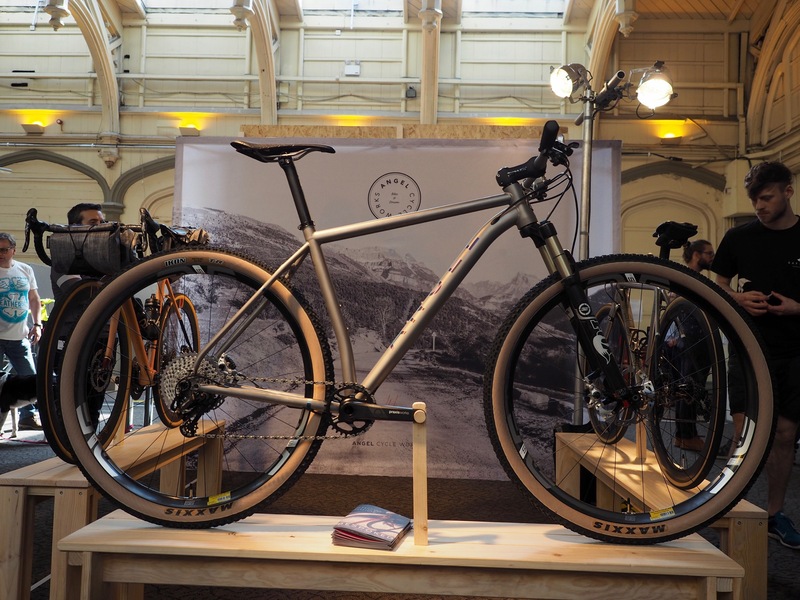 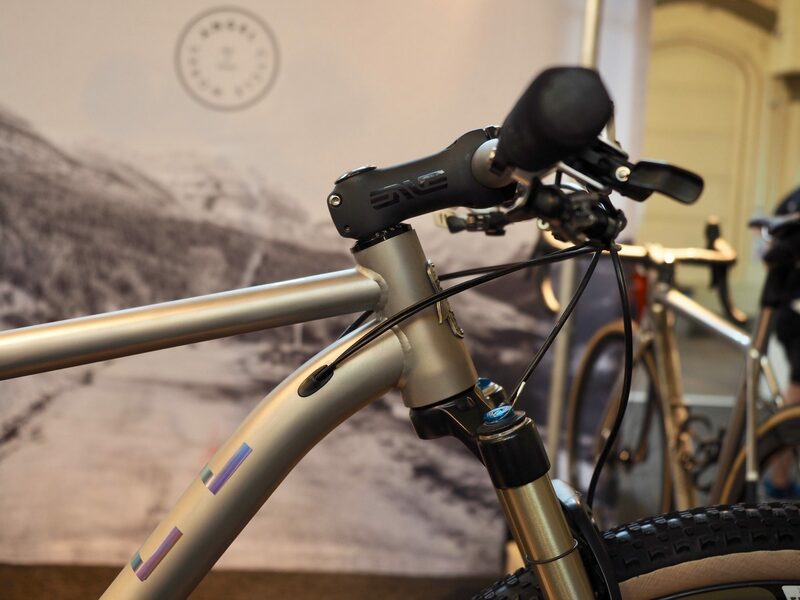 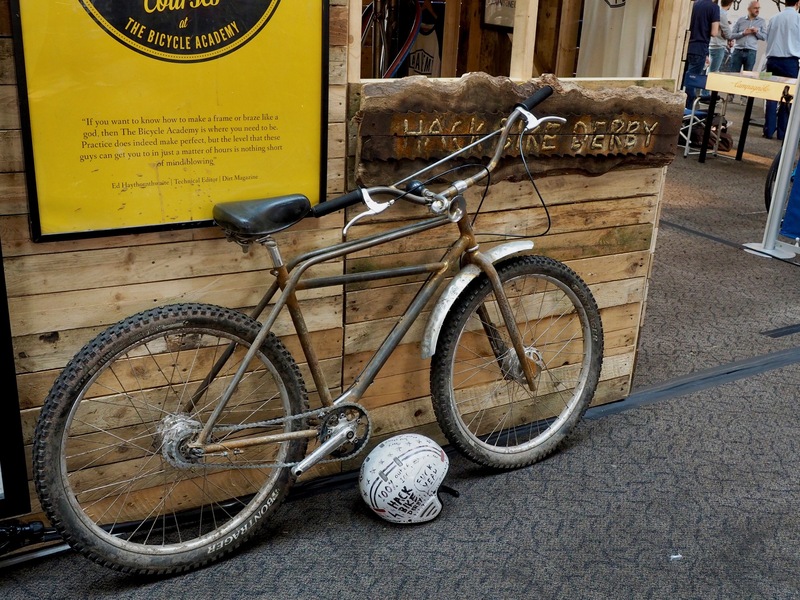 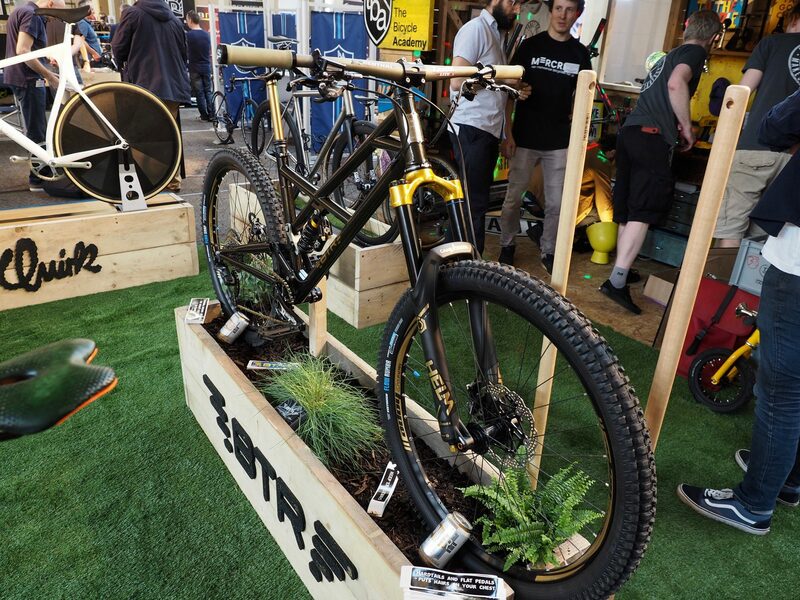 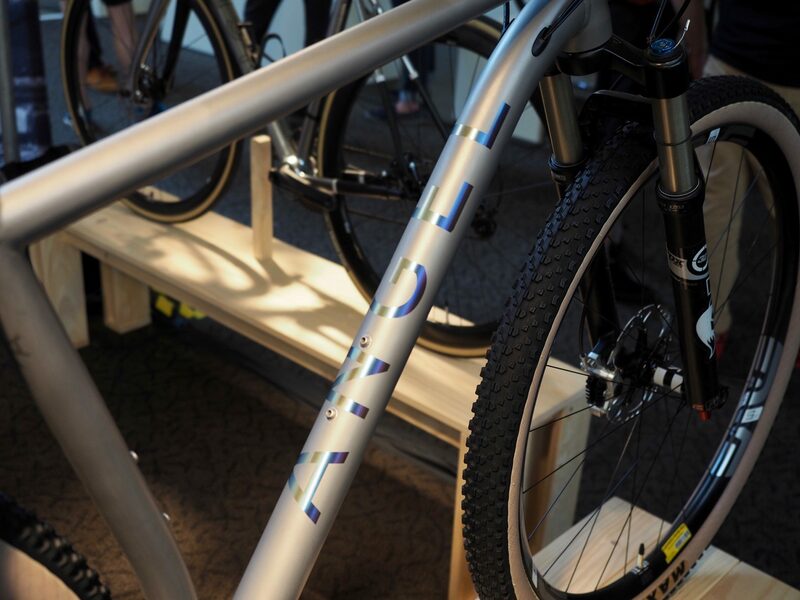 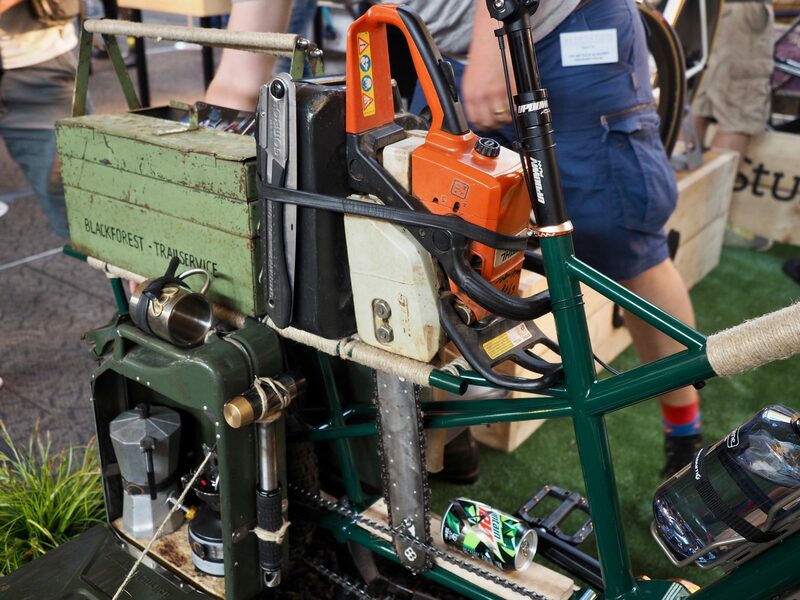 It’s always an interesting trip down to the Bespoked UK Handmade Bicycle Show to see what’s going to be on show and the 2018 edition didn’t disappoint. 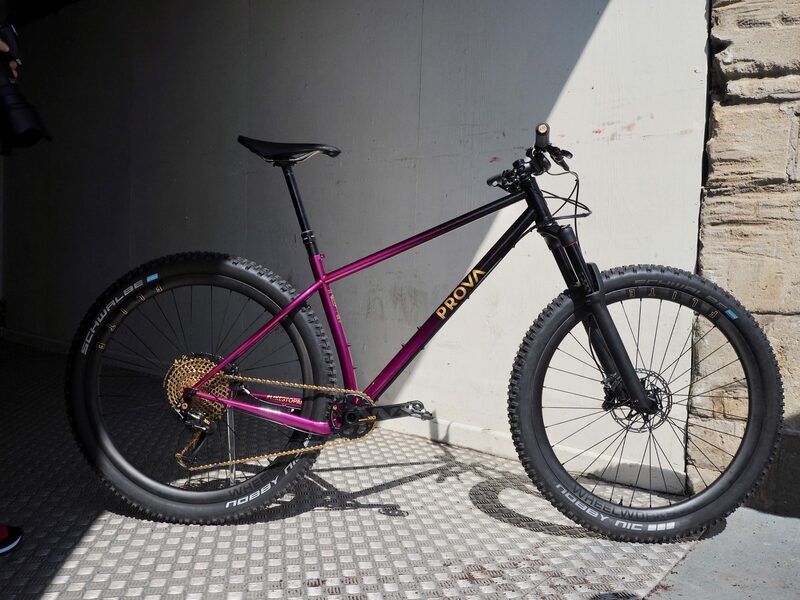 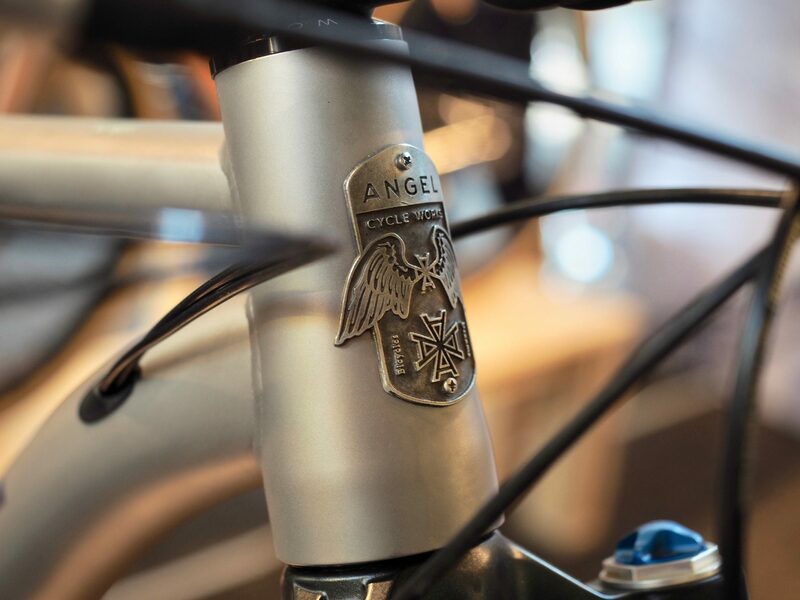 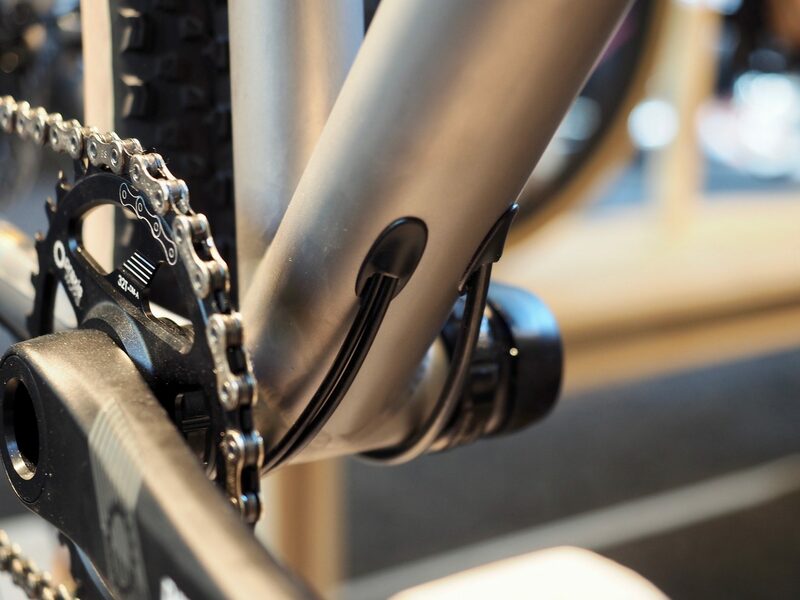 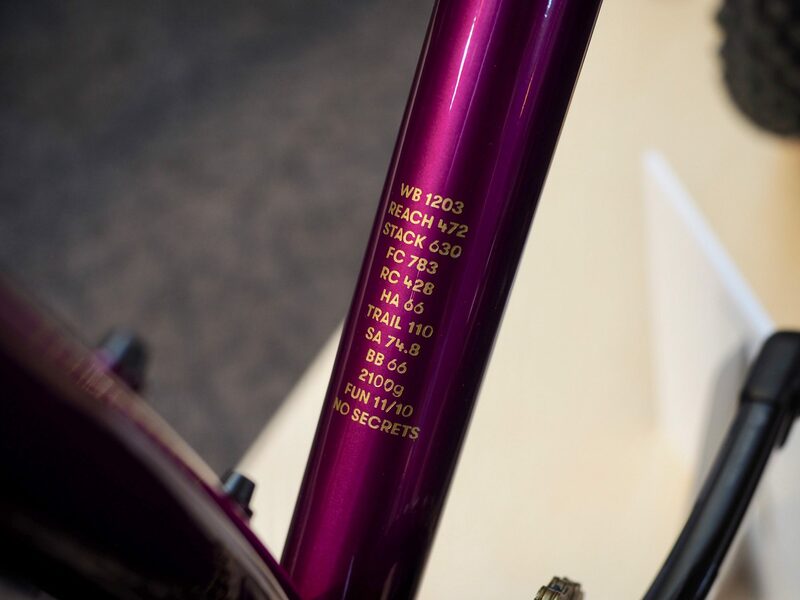 First up is Angel Cycle Works titanium XC 29er with custom dropouts, neat internal routing and short back end, long and slack front end geometry inspired by Barcelona’s Unno. 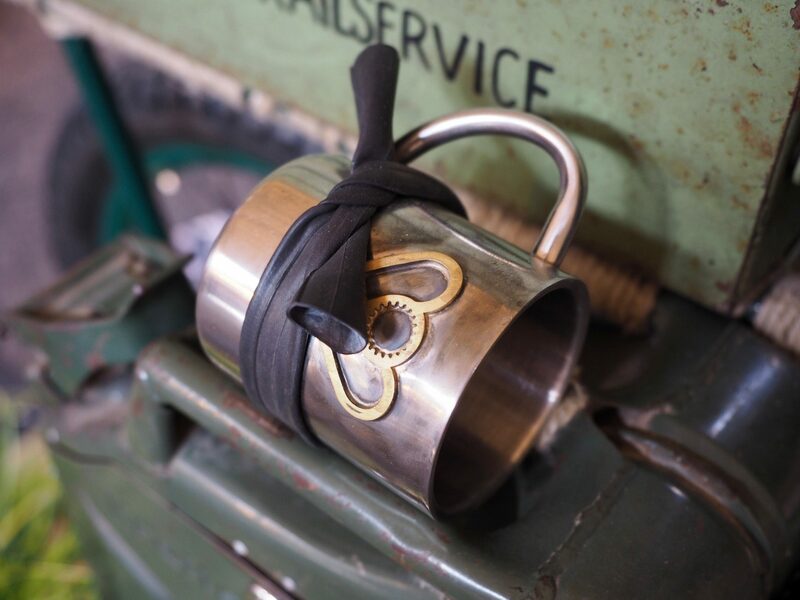 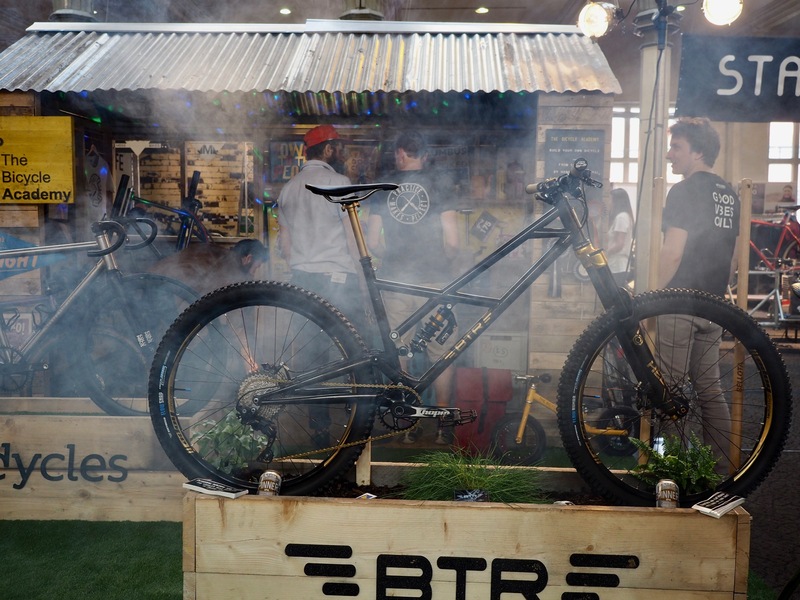 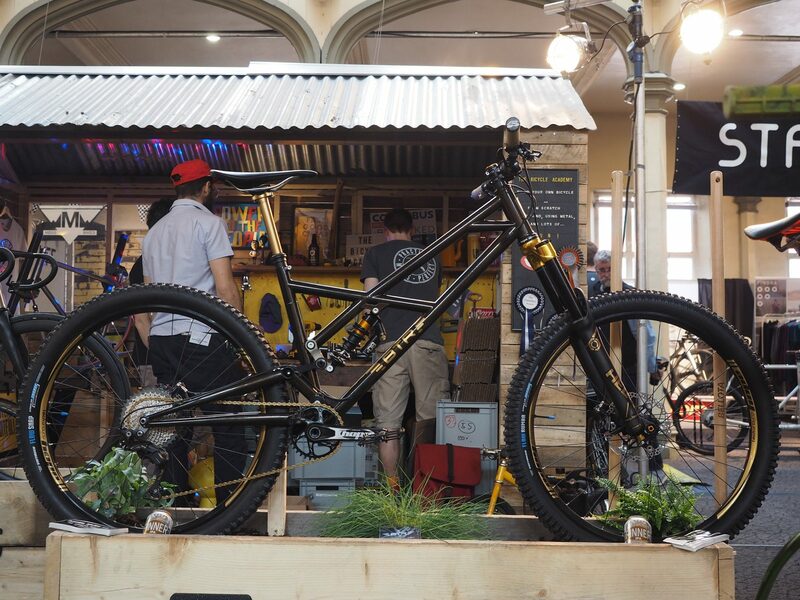 BTR Fabrications had a sweet metallic black and gold Pinner on display. 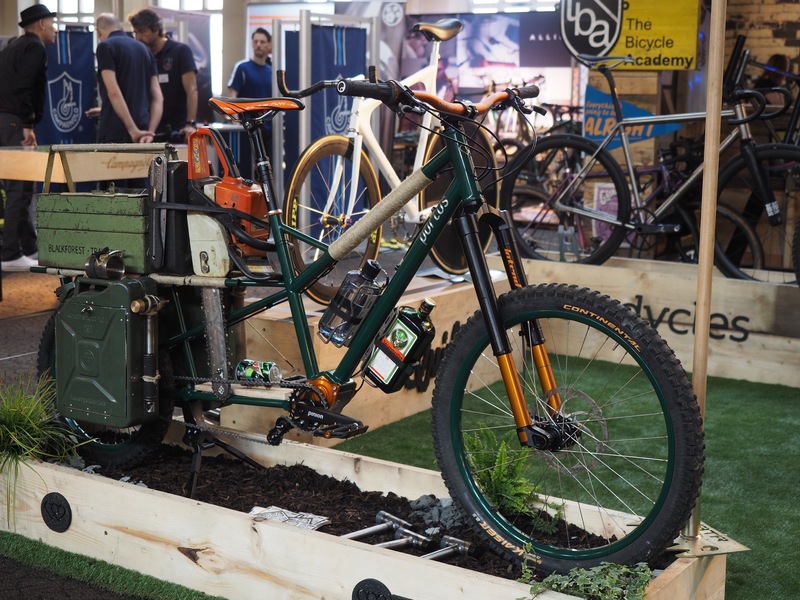 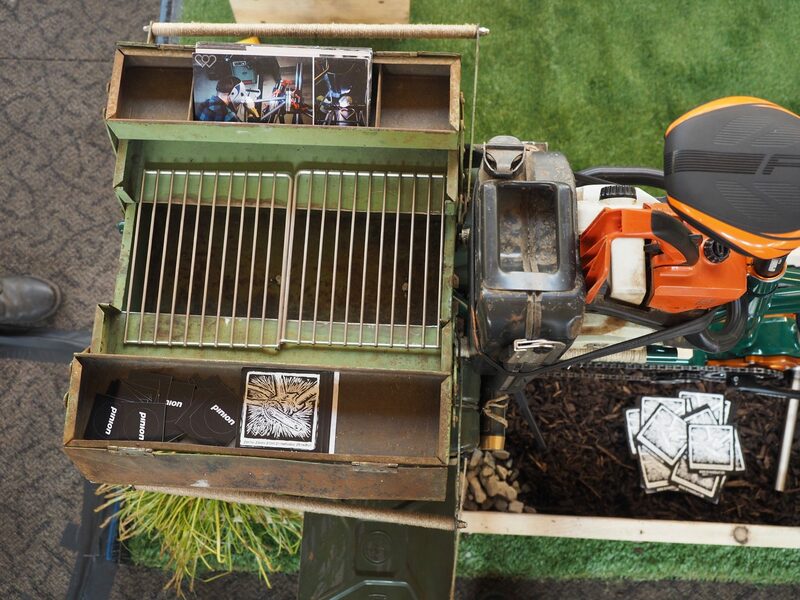 Portus Cycles Trail Service bike was possibly the perfect post apocalyptic vehicle. 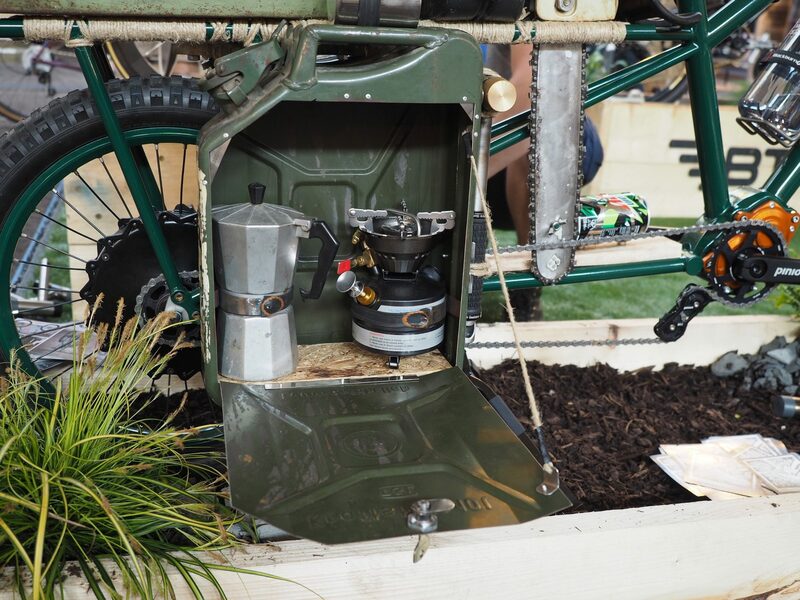 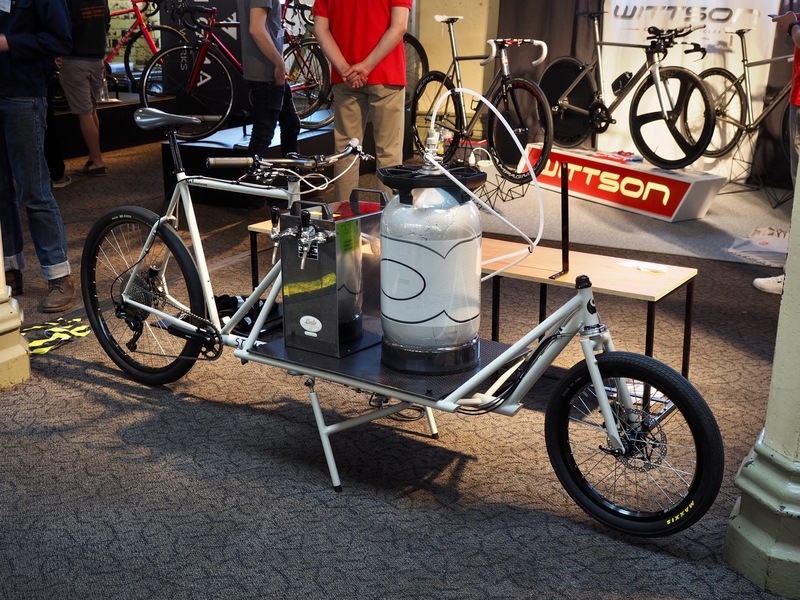 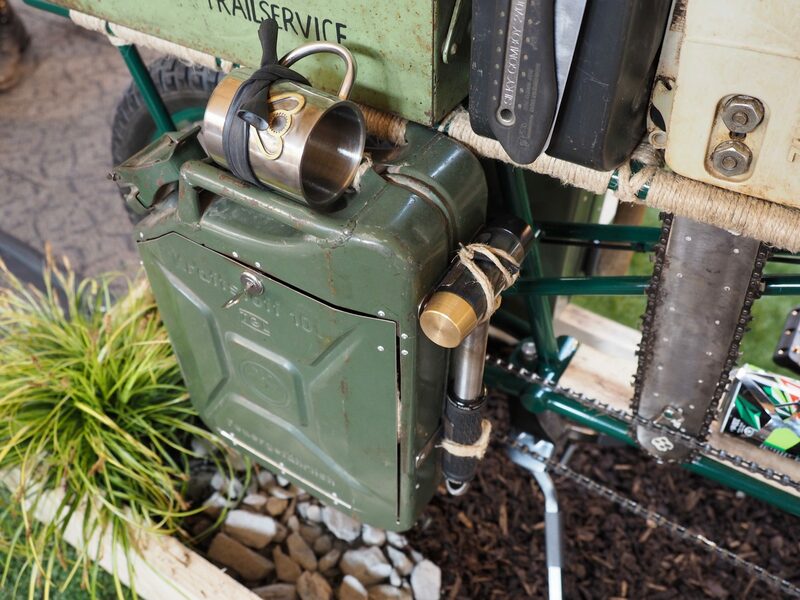 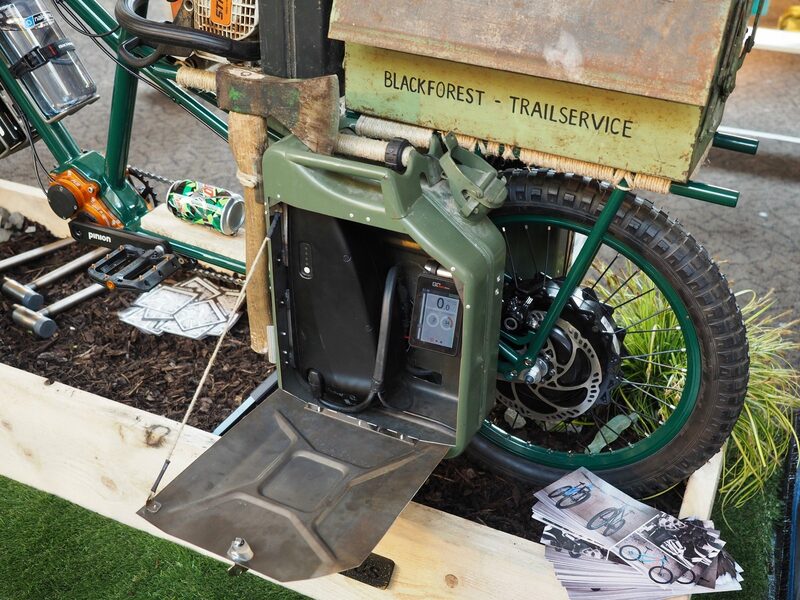 An nice and long e-bike with carrying capacity for trail tools, coffee making facilities, a BBQ and suitable post trail repair drinks. 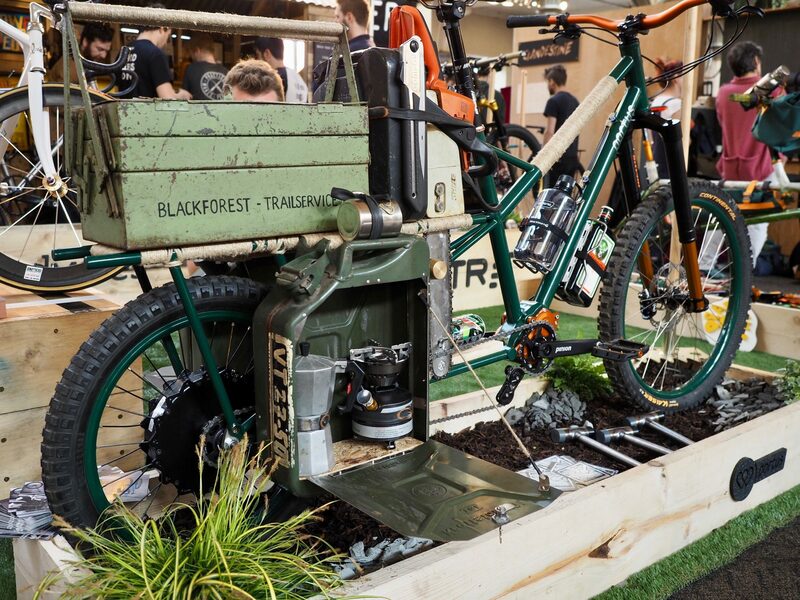 Always nice to see a hack bike, this one was tucked behind the Bicycle Academy stand. 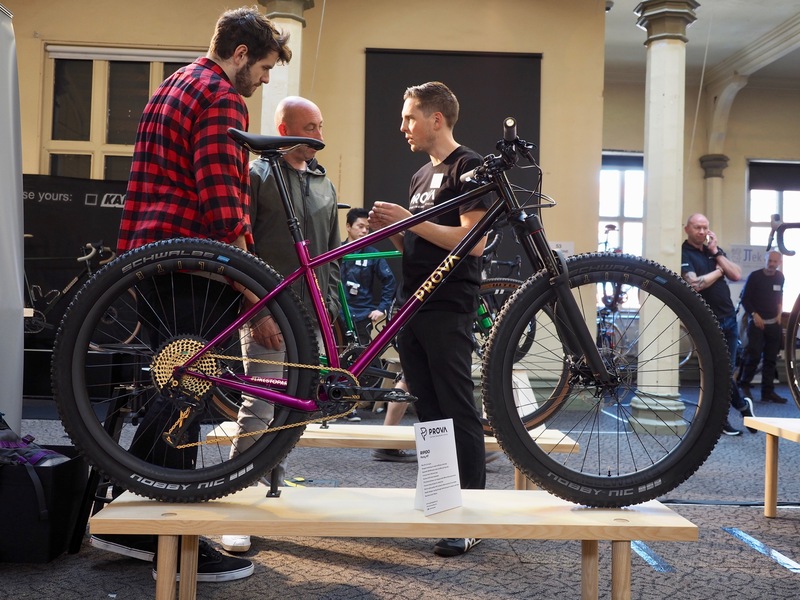 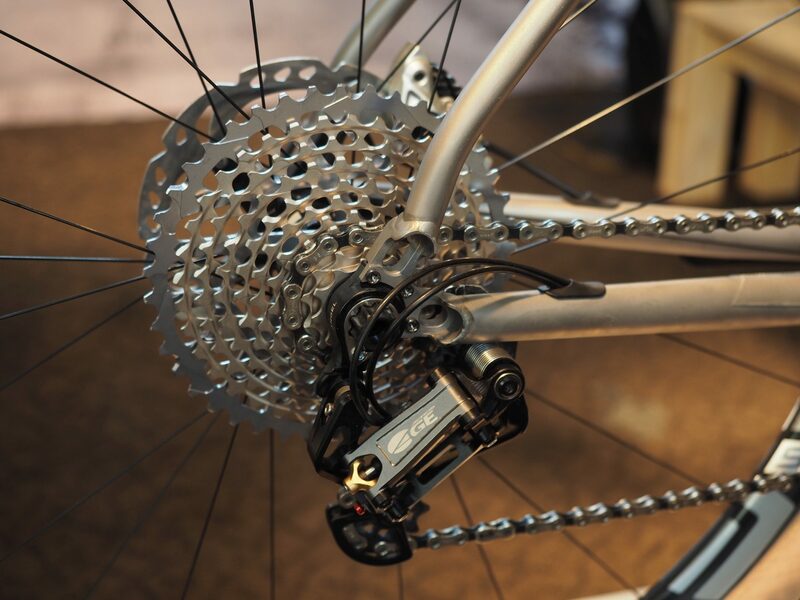 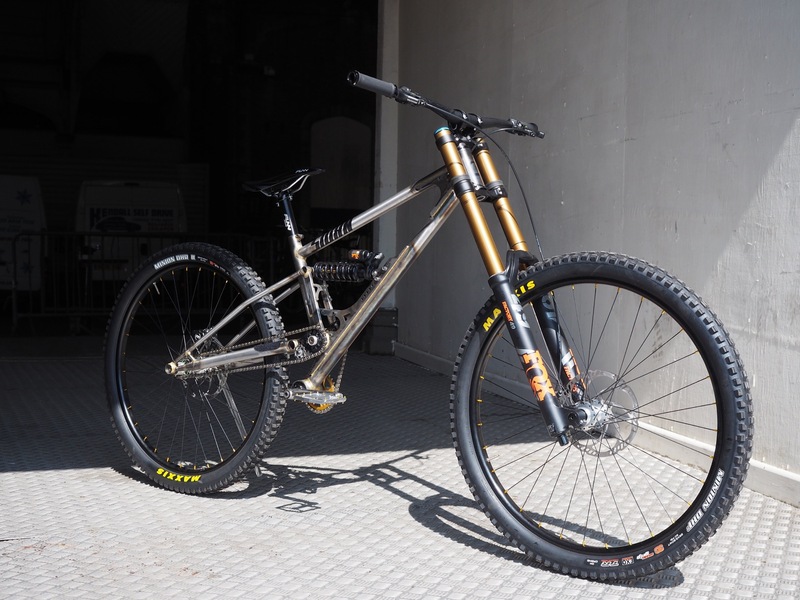 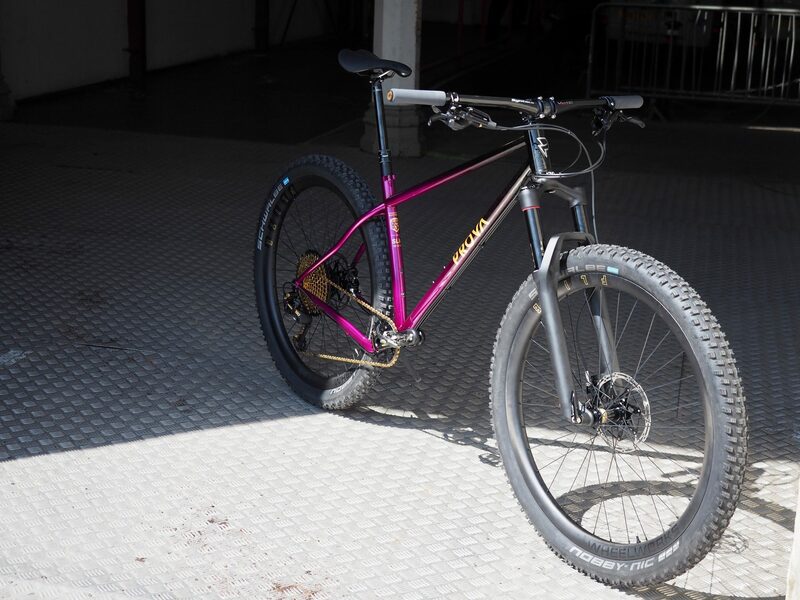 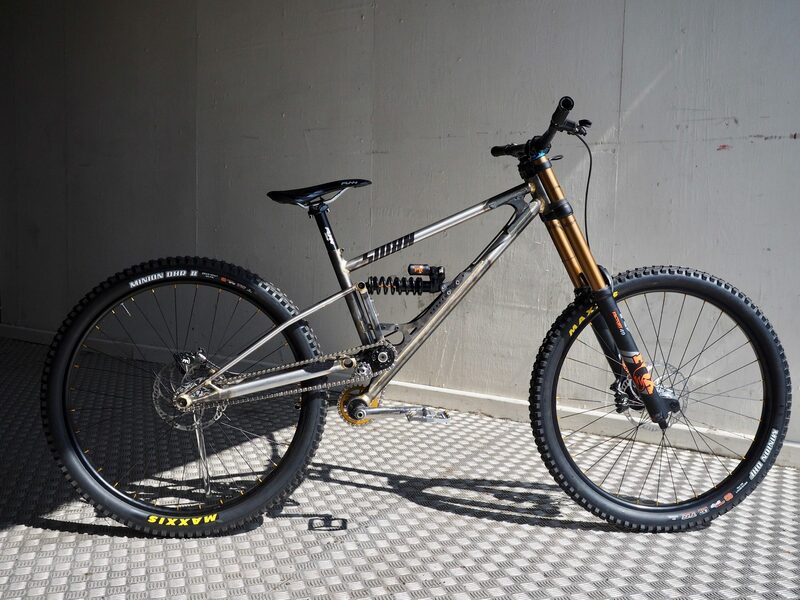 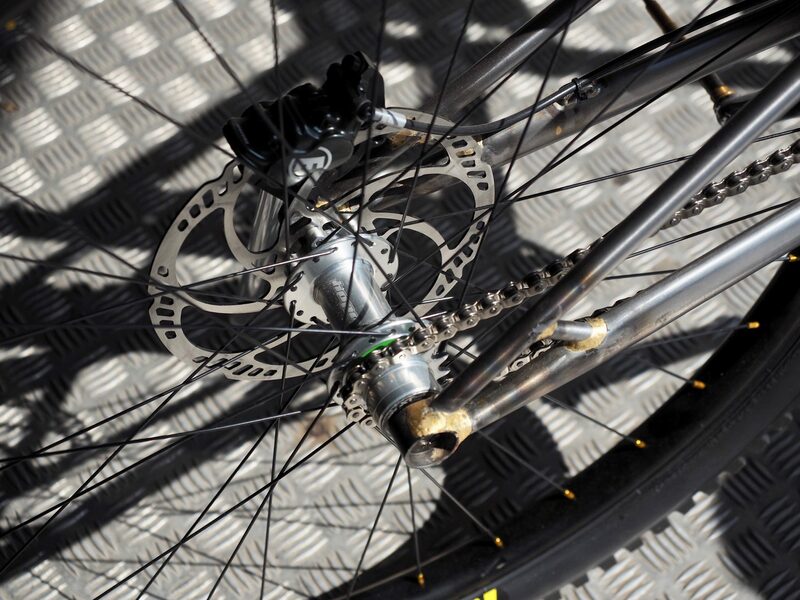 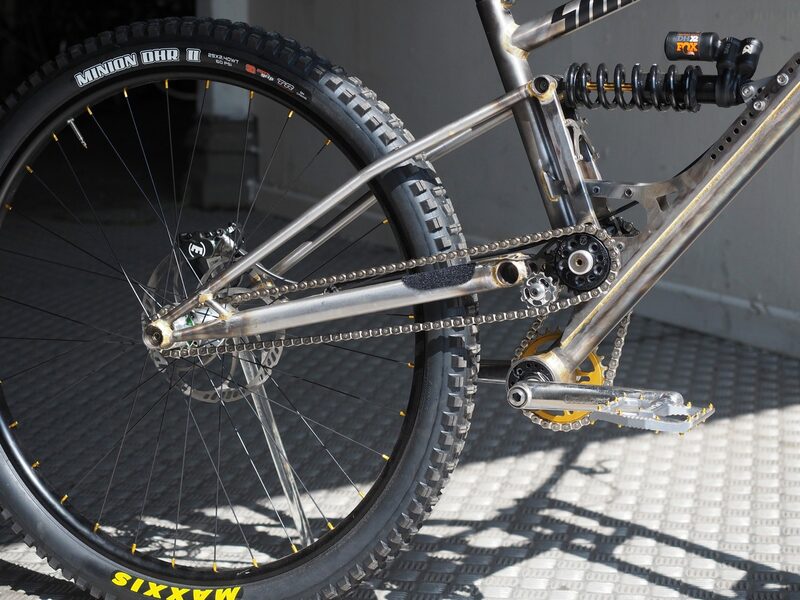 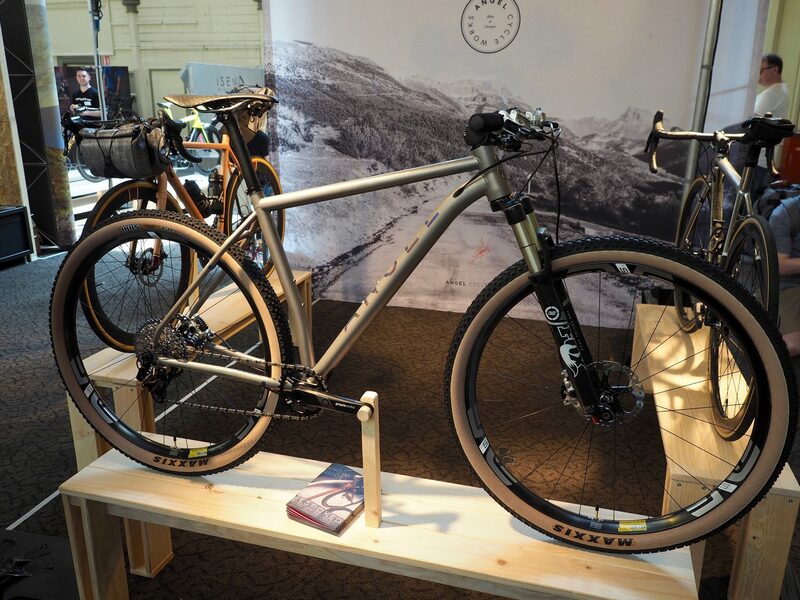 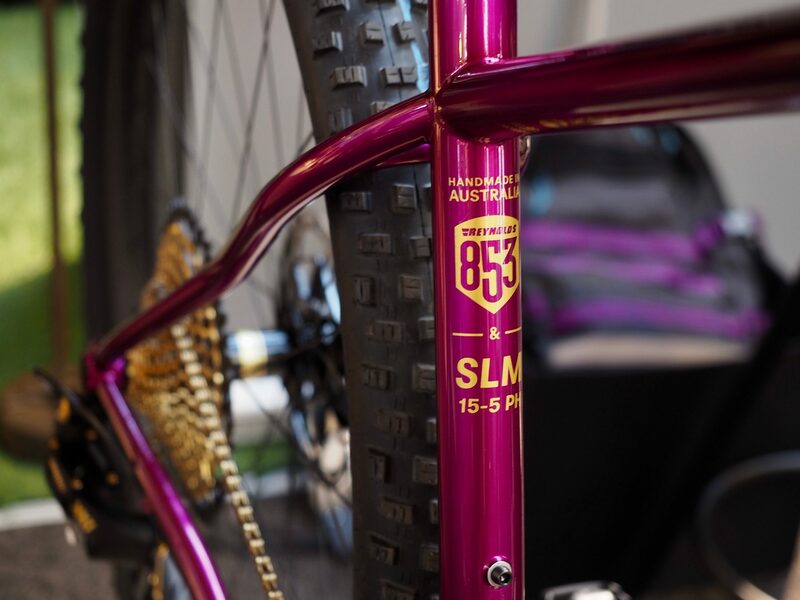 Steel built with a singlespeed jack shaft drivetrain, Starling Cycles downhill bike was getting a lot of attention. 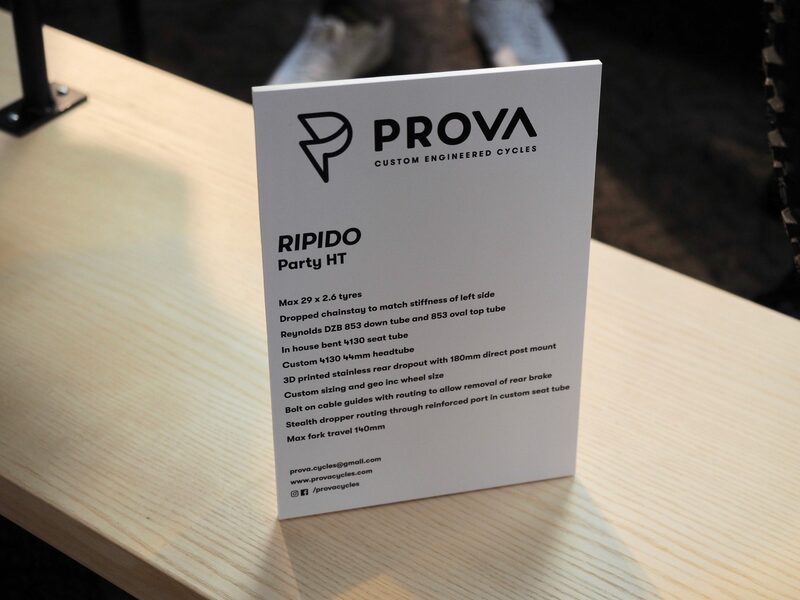 Prova Cycles Ripido steel hardtail was our pick of the show. 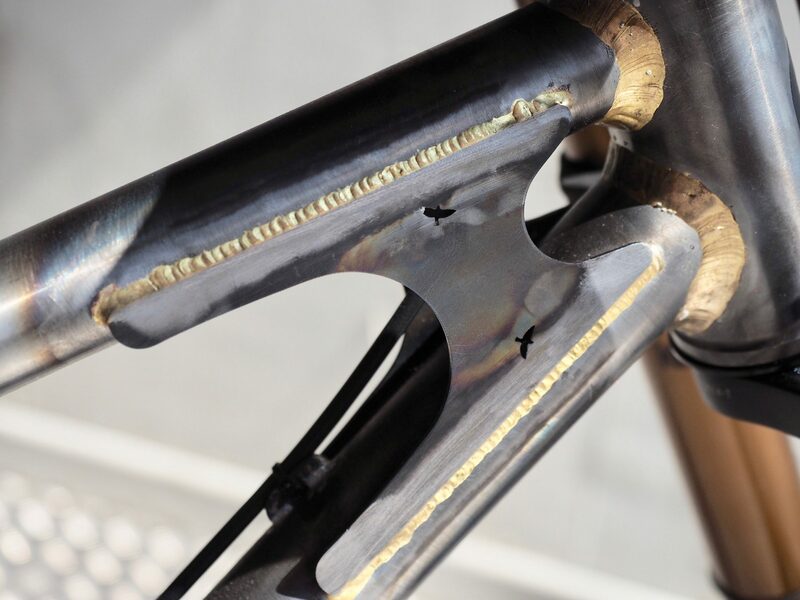 3D printed stainless steel dropouts hidden under a lush paintjob and with an enduro focus. 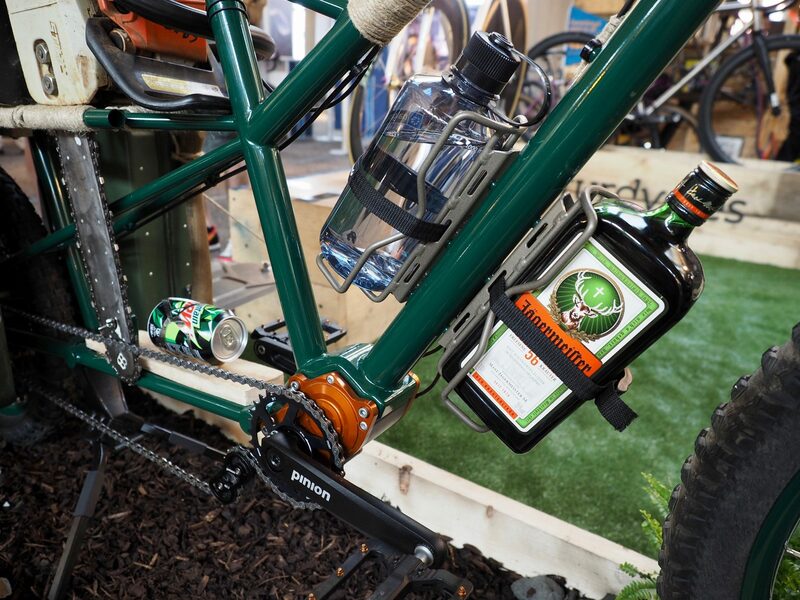 It has nothing to hide.